Dapper Dan attends the Universal ‘US’ First Screening on March 8, 2019 in New York City. Honestly? If we never saw another balaclava again, we’d be good. As “Blackface-gate” has raged on throughout the fashion industry, several luxury labels—Gucci, Prada and Burberry, among them—have been forced to realize elite status doesn’t exempt them from difficult conversations and accountability on issues of race, diversity and cultural sensitivity. In response, diversity and inclusion initiatives have been popping up faster than new it-bags. As reported by Harper’s Bazaar, Burberry has introduced new diversity initiatives amongst its staff, while Prada went big on its bid to do the right thing by appointing artist and activist Theaster Gates and award-winning filmmaker Ava DuVernay to co-chair its new Diversity and Inclusion Advisory Council. But Gucci has perhaps been the most visible and vocal in its ongoing response to the backlash created by its blackface-resembling balaclava sweater (said to have been inspired by late performance artist Leigh Bowery). 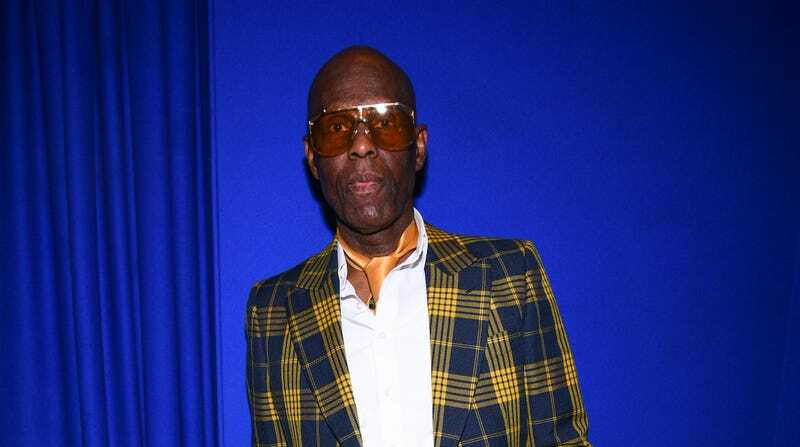 At the forefront of the conversation has been collaborator and couturier Dapper Dan, who has taken the lead on taking his parent company to task for what many felt was egregious insensitivity. Immediately following the incident, Dan addressed the issue directly with Gucci President and CEO Marco Bizzari, compelling a meeting between the two and several other black influencers in the weeks to follow, as calls to boycott the brand continued. I have seen real action towards the problems we discussed, and I want to share them with you. What we are announcing tomorrow is game-changing for the industry-at-large. After meeting with some of the industry’s leading black minds and others in fashion, business and culture, we’ve helped Gucci come up with programs that will positively impact the Black community and fashion as a whole. Black designers and fashion professionals will be given new opportunities through these new initiatives ... Through our work together, Gucci is in a position to steer the overall industry toward becoming a better, more inclusive one. On Monday, Gucci made good on Dan’s promise, announcing a global program as a follow-up to new diversity and inclusion initiatives launched by the label last month. Those initiatives include the hiring of a Global Director for Diversity and Inclusion, Regional Directors for Diversity and Inclusion, a diversity awareness initiative for Gucci’s 18,000 employees, a multicultural design scholarship program in 10 cities around the world, and the hiring of five global designers to fill positions in the Rome headquarters. “I believe in the promise of the next generation, and through our scholarship fund we will also create more opportunities for talented young people of diverse backgrounds to gain access to careers in the fashion industry,” Bizzarri added. Perhaps most importantly, Gucci is forming an external Changemakers Council to “ensure transparency, accountability and long-term impact.” The council will both select nonprofit partner organizations in cities that initially include Atlanta, Chicago, Detroit, Houston, Los Angeles, Miami, New York, San Francisco, Toronto, and Washington D.C., as well as select eligible students to receive $20,000 grants toward completing higher education, presumably in fashion or related industries. Time will tell—but in an industry that prides itself on setting trends, we hope this one catches on. The Glow Up tip: For more information about the Gucci Changemakers scholarship program, inquiries can be submitted at the following email address: changemakerscholarship@gucci.com.